Designed for beauty and practicality, these honeycomb-shaped blinds hail from the brand Hunter Douglas and are acclaimed for winning the 2017 Red Dot Design Award. The Duette Honeycomb blinds consist of single or double honeycomb shaped cells, which are available in various cell sizes and horizontal or vertical orientation. Its unique honeycomb cell design traps air inside to keep rooms cool in hot Singapore weather and warm during rainy seasons, hence minimizing energy costs. External disturbances are kept to a minimum due to its noise insulation feature. Another benefit is its fabric, which blocks out harmful UV rays to protect your furniture from fading. If you have large window areas or sliding doors, you can opt for the patented Vertiglide feature – a vertical opening system for the blinds. Duette Honeycomb blinds can also be installed to open from the top or bottom of windows for an ideal mix of light and privacy. For extra light control, you can choose the Duolite option, which makes use of two separate fabric panels for higher effectiveness. 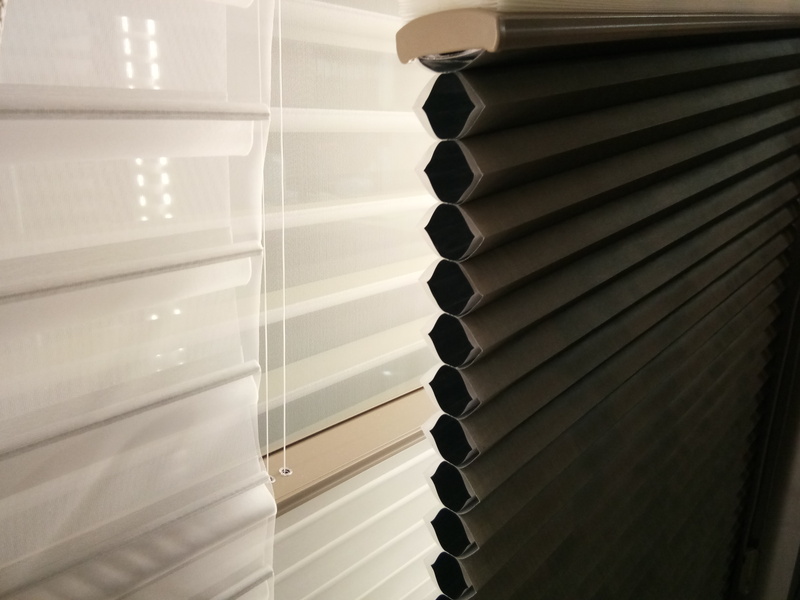 The Duette Honeycomb blinds come with the brand’s limited lifetime product guarantee.